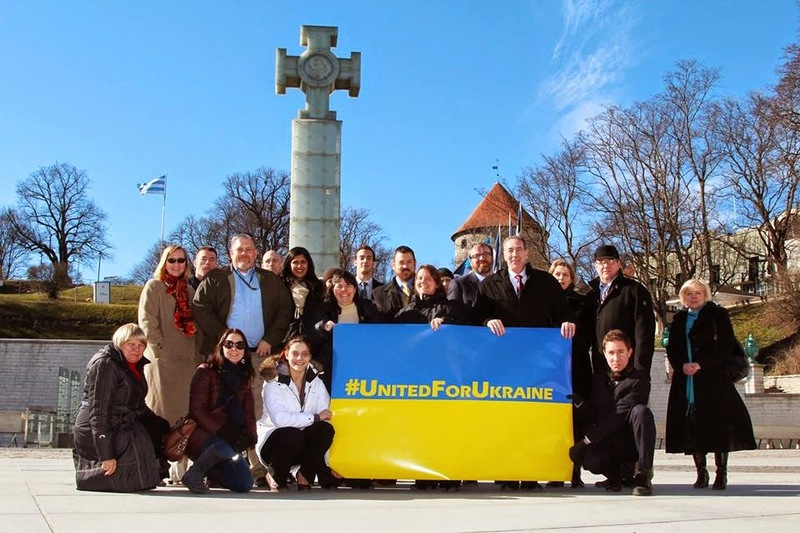 You would think that with all that is going on in Ukraine and the need for diplomacy to help keep this from escalating to World War III that our Congress would prioritize, at least for a few minutes, the Foreign Service. And you would be wrong. I get it. I have ranted plenty about political appointee ambassadors and how there are too many of them and that some, especially recently, have been, shall we say, underwhelming in the qualifications department. So I had considered blogging about the recent articles in the Washington Post about the backlog of ambassadorial appointments that are just sitting, waiting for Senate action. But I hadn't done it yet. Because I get it. They want to make a point about the sometimes profoundly unqualified donors selected to be ambassadors to important allies. But I also know they were sitting on career appointees too, who generally (but not always) do know about the countries to which they are headed. This leaves a lot of posts without an ambassador...some 28 ambassadorial vacancies in Central and South America, and 10 of 40 posts in Africa are also waiting. Most of these are not posts given to political appointees. Some of these folks have been waiting for nearly a year, (for the wait times, look here) and for the usually decidedly not wealthy career appointees (a career in government service in NOT a path to wealth unless you are serving in Congress), this means trying to find temporary jobs and housing while they wait. It is expensive for them, hard for posts, hard for the jobs they sit in waiting to leave, hard for our diplomatic relations with those countries....basically, hard for everyone but Congress. So the post was coming...I just hadn't written it yet. And then I get an email today from AFSA, the American Foreign Service Assocation, our "union" of sorts (they can bargain for us but we can't strike). It seems that the Senate is not just sitting on ambassadorial appointments. According to the email, the Senate is now holding up the commissioning, tenuring and promotions of some 1,700 folks in the Foreign Service. They do say that "progress has been made," but I don't read that as they have actually released the hold. We aren't talking about Ambassadors here. We are talking about the average Joes working in the Foreign Service. And for most of these, we are talking about the absolutely most junior diplomats. Commissioning usually happens short after you come on board and finish A-100. Tenuring usually happens within your first three to five years in the Service. It has to happen within five years or you are out (so if Congress holds up approving tenure for these officers too long, people who we want to keep will be forced out). So we aren't talking about folks who have been in a long time. Lots of these folks are sitting in visa mills, making sure people can come visit the U.S. (and spend their money here), making sure you can get home from overseas when your passport is stolen, making sure you are cared for in an overseas hospital or jail should bad things befall you on your trip. They are the lowest ranked, lowest paid of the exceptionally bright and motivated people we bring into the Foreign Service each year. This seems like a good way to keep them from remaining motivated. And the promotions? Those can range anywhere from those newly minted diplomats getting administrative promotions to senior Foreign Service. But let me assure you, the numbers of promotions at the upper level pale in comparison to those at the junior and mid-level. (ON EDIT: I was told the promotions are only Senior Foreign Service). You are hurting solidly middle-class Americans who are deeply devoted to this country and want to serve it. 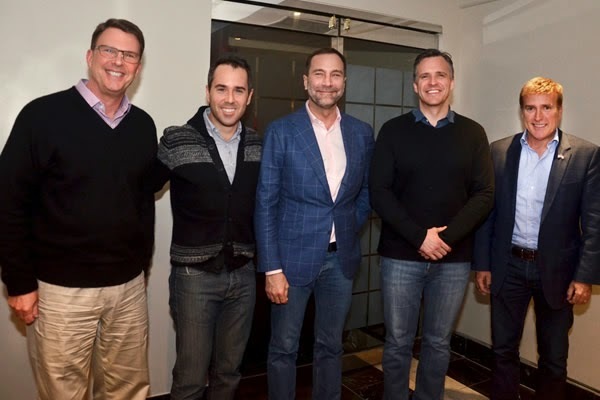 GLIFAA (Gays and Lesbians in Foreign Affairs Agencies) recently met with the five current Ambassadors who are openly gay. The meeting was covered by the Washington Blade, so you can read about it here. A friend forwarded me the piece and asked, "See anything wrong with this picture?" I did immediately. Do you? I'll give you a hint: I have complained about it before. I am glad there are openly gay ambassadors. Truly I am. But where is the diversity here? Why is there not a single lesbian in the group? A single person of color? Hell, even a single career person (though I hear rumors that at least that couple change soon, though we will still not have a lesbian or person of color in the bunch)? Welcome to the 176th A-100! Tomorrow, the latest crop of diplomats, the 176th A-100 class, will begin their journey at the Foreign Service Institute. I hope there will be bloggers among them! I know at least on blogger, Lynne over at Like Nomads, but with more stuff, will be among them. Congrats on becoming a tandem Lynne! If you know of any other bloggers in the class, let me know so I can give them a shout out. And welcome to the Foreign Service y'all! Ten years. Three thousand, six hundred and fifty two days. 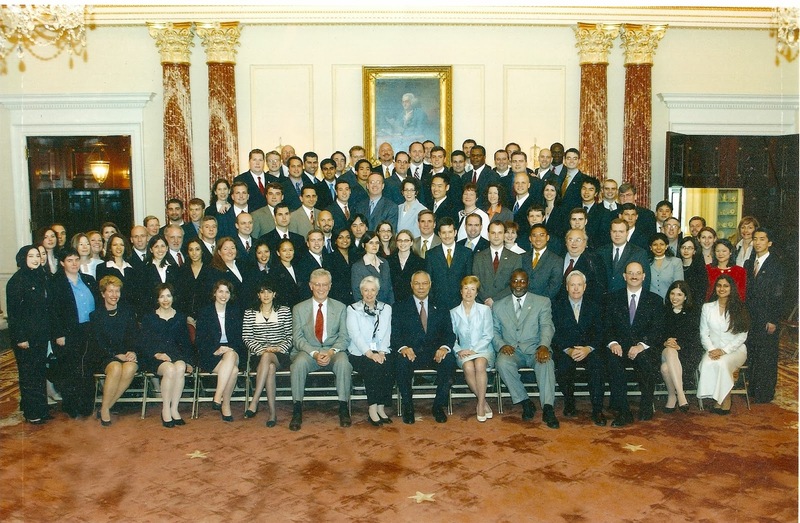 I can't believe it has been ten years since I walked into the Foreign Service Institute for the first time, found my way to that classroom that was not nearly large enough for the nearly 100 of us us over eager, uber keen, bright eyed and enthusiastic new diplomats. I remember how nervous we all were, many (most, all?) of us feeling out of place among such over achievers. Wondering if we belonged. Wondering if we'd make it. Wondering what that future, and the world, held for us. Wondering if everyone else felt as uncomfortable as I did in a suit! A lot has happened in that ten years. At times it has flown. At times it has crawled. There have been times I couldn't believe they paid me to do this job and times I didn't feel they paid me enough to do this job. There have certainly been plenty of times when I contemplated leaving the service. By my count, about five percent of my orientation class did just that. But mostly, I feel glad to have found this career and privileged to serve the country this way (even when the country doesn't seem to appreciate that service). And I am glad to work for an organization that treated us like a tandem before it could say so legally, and treated us like an official tandem even before the so-called Defense of Marriage Act was overturned. And I am glad to work for an organization that now advocates for LGBT rights world wide. And they pay me to be a part of that. So happy 10th anniversary to the 118th A-100! We have made it halfway! The Washington Post had a nice piece this past week about embassies around the world helping American citizens. It is a really nice piece and I recommend you read it. It talks a lot about the work our consular officers do helping Americans, from warning them of potential dangers to issuing them new passports or in some happy cases, birth certificates (Babies entitled to American citizenship who are born abroad receive a CRBA, or Consular Report of Birth Abroad). The reporter actually spent some time observing a consular officer doing his job. It is important work that I think most Americans, particularly those in Congress, are unaware of. As one of my colleagues said in a comment on the article, if Congress spent a day observing what we do abroad for American citizens, they would probably be rushing to increase our staff and budget rather than axing it. Speaking of doing the right thing, let me introduce you to our Ambassador to Uganda, Scott DeLisi. So he said that some visas may be denied for those people.